A Privium membership is ideal for frequent visitors to Schiphol. You'll join a programme with a slew of exclusive extras there for your comfort and convenience, like priority car spaces, fast security and border control clearance, Privium ClubLounge and Airside Lounge access and special member-only discounts. 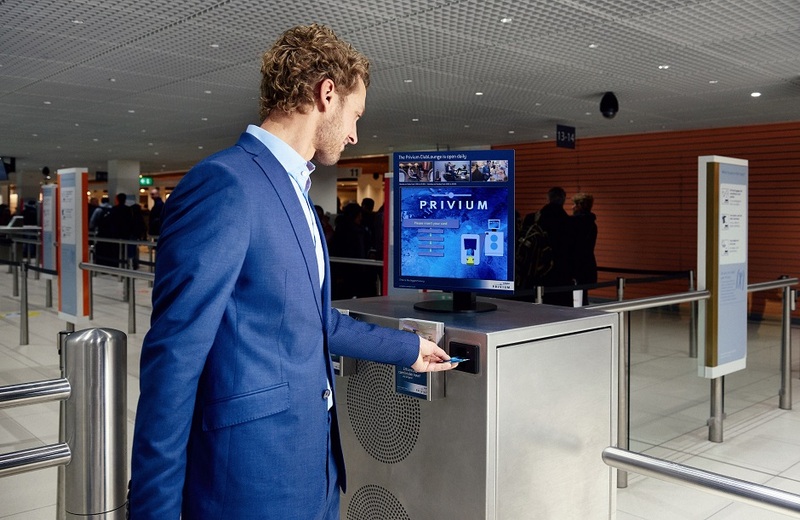 Privium Plus members are able to speed through the security and passport control by using the iris scan. You can also park at the front of the car park, check in faster and access our exclusive lounges. Privium Basic is ideal if you are short on time at Schiphol. You will be given priority in the waiting area for the security check and you will pass the border with the iris scan at lightning speed. Discover the benefits of Privium for yourself. Opt for a trial subscription now for 4 months. You can enjoy all services of Privium Plus or use the iris scan only with Privium Basic. Benefit from many Privium extras with your partner. From fast security and border control to access to our exclusive lounges. If your company has employees who regularly fly for business, do them a favour and take out a business Privium subscription. With a company membership, each member receives up to 15% discount. Privium Plus members have access to the comfortable Privium ClubLounge and the Privium Airside Lounge. Both lounges are great places to work, have a light snack or relax in peace. What do Privium members themselves think of the lounges, the speed of the services and the iris scan? Read their reviews here.